As neighbors and UVLT supporters rallied to conserve Alswell Farm, they got some help from an old friend of Hanoverâ€™s outdoors. A UVLT-held fund established in memory of Mary Kilmarx provided $5000 toward the projectâ€™s costs. So when we gather at Alswell Farm, January 26th,Â to celebrate and thank one another, Maryâ€™s legacy will be among us too, standing strong with all who have loved and cared for and invested in conserving this wonderful part of the world. Mary grew up in Hanover in the 1930â€™s. Her father, Lloyd Neidlinger, was the Dean of the College for President Ernest Hopkins. 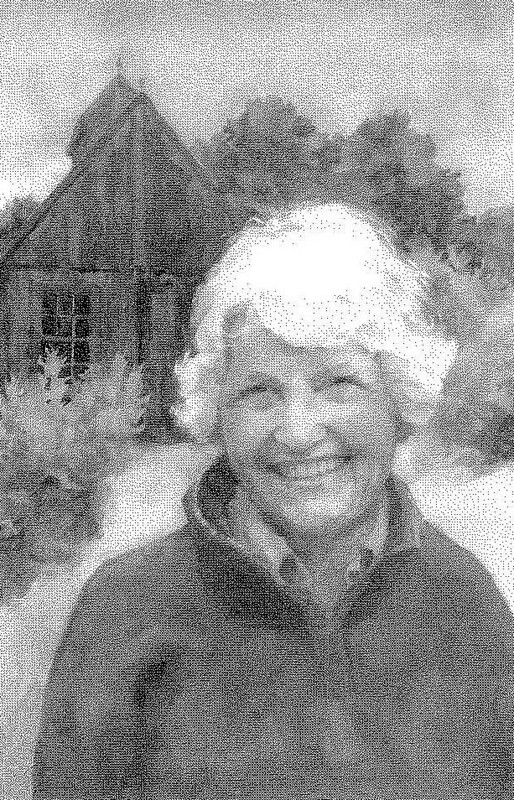 She and her sisters thrived outside and loved skiing at Oak Hill. Mary became a passionate advocate for the environment. She was a three-term representative in the Rhode Island legislature and served on the Rhode Island Public Utilities Commission. With her husband, Bob Kilmarx, she maintained a seasonal home in rural Lyme, where her family made maple syrup, hiked, and skied. After Maryâ€™s death, more than 10 years ago, memorial gifts created an endowment at UVLT. Â The MaryÂ KilmarxÂ Fund provides income to support land conservation transactions with a special focus on projects that provide public access for hiking and skiing. Â The corpus of the fund is managed by the New Hampshire Charitable Foundation. Over the years, income distributed to UVLT has amounted to about $5300. The income has been set aside in a restricted account, waiting for a project that was a good fit and until the accumulated sum was large enough to make a significant difference in a worthy project. 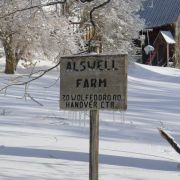 The Alswell Farm project is the first to receive major support from the MaryÂ KilmarxÂ Fund. But not the last — we’ll begin accumulating again for the next project. Want to know more about Legacy Giving and UVLTâ€™s restricted funds? Contact Jeanie McIntyre.